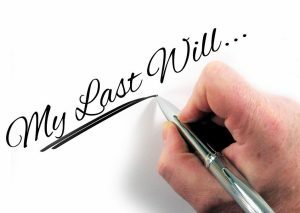 Thinking about your own death is never a pleasant experience, but preparing a will is a necessary part of life. Particularly if you’re a parent, creating a will and ensuring that it specifies your exact wishes is critical. You’ll want to set up a will that your children will benefit from, but how do you do that? Take each of the following things into consideration. Unless the children are over the age of 18, someone will need to take care of them until they are. If your will doesn’t detail who you want to finish raising them after your passing, the court will decide for you. You and your spouse may not agree, but it’s important to take the time to discuss it and ultimately come to an agreement. Consider factors such as the children’s relationship with potential guardians, as well as the potential guardian’s own responsibilities, such as children of their own or aging parents. Also consider where the guardian lives, whether they’d relocate, and if they could afford to care for your child without financial assistance from your estate. Without a trust, children under 18 will get a share of the money in your estate for their care. Once they turn 18, they’ll get the rest. If they are 18 or older, they’ll get their full share immediately. Many times, someone who is only 18 or in their early 20s isn’t ready for the responsibility of having a considerable amount of money. Sometimes, even older adults aren’t ready for it. A trust allows you to determine how much money a child gets, when they get it, and how they get it. You can put a variety of stipulations in a trust. There are lots of options out there to create a will on your own. You can buy them in office supply stores or find them online. But if you don’t know what you’re doing, the wrong word choice can create a lot of problems with your will down the road. Your best option is to meet with a lawyer. A professional lawyer, experienced with wills, can help you set up a will that is legal, thorough, and outlines your exact wishes. They’ll also keep a copy of your will so that, should you lose your own copy, you won’t have to worry. For most parents, dividing their assets fairly among their children is important. But it’s important to remember that fair and equal are not necessarily the same thing. For example, if you paid for one child’s college degree, but not the other, you may desire to be fair by giving the other child an extra amount of inheritance equal to the first child’s college expenses. Fair may also mean dividing jewelry, or giving one child jewelry that meant something to them while giving another child a monetary amount because jewelry meant nothing to them. If you’re not sure how to fairly divide your assets, depending on your children’s ages, you may consider discussing what they would see as fair with them. Preparing your will may be one of the more depressing and uncomfortable things you do with your time. But it’s an important step to ensuring that your children are taken care of after you’re gone. Once it’s done, you’ll feel better. What Are the Overall Financial Costs of Adding Another Child to Your Family?